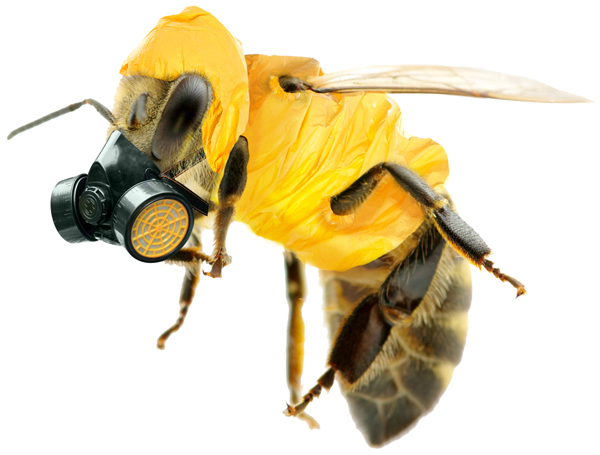 OTTAWA--Despite the Pest Management Regulatory Agency’s (PMRA) decision to re-evaluate neonicotinoid pesticides, it is still registering new products containing the bee-killing pesticides. “The Canadian government is attempting to deceive Canadians into believing it’s taking action on bee-killing pesticides when it is cleary not,” said John Bennett, National Program Director of the Sierra Club Canada Foundation (SCCF). “It’s a ruse. This government clearly isn’t taking the ecological threat seriously. Pesticides greater threat than previously admitted; Sierra Club says ban bee-killing neonicotinoid pesticides now! OTTAWA -- The findings of the Worldwide Integrated Assessment (WIA) undertaken by the Task Force on Systemic Pesticides make it absolutely clear neonicotinoid pesticides must be banned by the Health Canada. The Study reviewed some 800 scientific papers and concluded that the impacts of neonicotinoid pesticides go far beyond honey bees: butterflies, birds and amphibians are all threatened. “The experiment must end now!” said John Bennett, National Program Director, Sierra Club Canada Foundation. “There is overwhelming evidence to justify banning neonicotinoid pesticides,” he continued. OTTAWA – Sierra Club Canada Foundation has asked the Ethics Commissioner to examine the ruling under the Conflict of Interest Act with regard to Ted Menzies’ work with CropLife Canada. “A cabinet minister went directly to the board room of CropLife, the pesticide industry’s lobbying arm,” said John Bennett, National Program Director, Sierra Club Canada Foundation. “We are advised that this could constitute a conflict of interest under the Act and should be investigated,” he continued. CropLife is in the midst of a major lobbying and public relations campaign to prevent Canada from adopting a ban on bee killing neonicotinoid pesticides; Action the European Union took more than a year ago. OTTAWA -- Sierra Club Canada is calling upon Tim Hudak's Ontario Progressive Conservative Party to clarify its position on climate change after Carleton-Mississippi Mills incumbent MPP Jack MacLaren denied climate change was “human-caused” or “man-made” at two local debates last week. Mr. MacLaren made his remarks during two separate all-candidates’ meetings last week in the riding of Carleton-Mississippi Mills. To date, his party has made no attempt to clarify whether his opinion will inform policy should his party form the government after the election. Sierra Club Canada Foundation welcomes any improvements in the industry’s handling of oil, but the announcement today won’t prevent more disasters, leaks or spills. Canadians should note that as the amount of oil transported by truck, train and/or pipeline increases, the number of disasters, leaks and spills will too.